They help manage weight because their fiber content is both insoluble and soluble. Insoluble fiber helps regulate digestion, soluble fiber controls your appetite because you feel fuller longer. They contain high amounts of carotenoids which help to improve skin's density and tone and their vitamin C helps create collagen and elastin. They are high in Vitamin E to help stop free-radical damage that leads to skin's aging. Gosh it sounds as if avocados have a little bit to help just about everything that "ails" me! I didn't even know there was a difference in fibers, and I had no idea what carotenoids were, but I need some desperately. The older I get the elasticity of my skin gets worse and worse. I knew they were good for you, but I had no idea they helped manage weight! I love them and will be getting some at the grocery store tomorrow! Thanks for sharing with us! 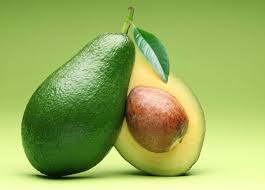 I have never eaten an avocado and I want to change that but I've heard if you don't buy one that is ready to eat then it will not taste very good and I certainly don't know what is s good one to buy. I would love suggestions or I guess I could ask the grocery store people. An avocado is great for a snack. Vitamin E definitely help the hair.